Two Chris Wood goals brought a 2-0 home win against Cardiff City, a first home win against them in 12 years, and a result which left visiting manager Neil Warnock once again unhappy with the match officials and us resting much more easily with our Premier League status all but confirmed for next season. When the season kicked off last August I think we all hoped we still wouldn’t be needing points with five games remaining but by Christmas we’d have all taken it without a second thought given the small number of points we’d won in the first half of the season. So, with some big games to come, we went into yesterday’s game against relegation threatened Cardiff on the back of wins against Wolves and Bournemouth which had, in my view, just about got us over the line although knowing another win would make it all but certain. That win came courtesy of two Wood goals, one just past the half hour in a first half when we missed numerous chances, and the clincher in stoppage time to end any hopes Cardiff had of coming back. “How are the nerves?” I was asked via a text message yesterday morning. “I’m absolutely fine,” was my reply and, maybe surprisingly, I was. I really did believe the big win had come last week at Bournemouth and considered that 36 points would be enough although even a draw to prevent Cardiff picking up maximum points would be gratefully accepted. I haven’t always been confident this season that we would stay up but that, I felt, was in the past so was reasonably relaxed making my way down to the ground where I learned it was the same team that had beaten Bournemouth. That was no surprise; Sean Dyche had reported Phil Bardsley as touch and go which, in Dyche speak, is usually a few more weeks out of action. Cardiff brought Harry Arter back at the expense of Joe Ralls and Kenneth Zohore was preferred ahead of Oumar Niasse up front. Otherwise, it was the team that had lost at Manchester City in their previous game. The two managers both received receptions from the home fans. Sean Dyche was cheered and applauded from all four sides of the ground while Neil Warnock got the sort of welcome he’s come to expect over the years from Burnley fans. He was to have his moment early in the second half. The first half though was ours, or it certainly should have been. We did go into half time with a 1-0 lead but we also missed four clear cut chances during the first 45 minutes that really should have seen the game dead and buried by the time referee Mike Dean blew for half time. Our previous two games have seen the home side take a very early lead. Conor Coady put through his own goal in the first half to give us that early lead against Wolves and it was another own goal, this time from Ashley Barnes, that gave Bournemouth the lead last week. Wolves’ boss Nuno Esperito Santo suggested it had badly affected his team; it set us back for a few minutes at Bournemouth last week before we got on top and won easily. There should have been another early goal yesterday and again it should have come from the first free kick of the game. Dwight McNeil was fouled and took the free kick himself. The ball into the box was headed towards Wood by Cardiff defender Sean Morrison but Wood, who looked a certain scorer, headed against the post. Wood then played a delightful ball to Ashley Westwood who was clear on goal. He might have scored in each of our last two away games but his weak effort was straight at goalkeeper Neil Etheridge; my dad would have referred to the shot as powder puff. McNeil had the next opportunity following an excellent ball across from Jeff Hendrick right into his path. He got it onto his left foot but fired his shot over the bar and, at this point, there were concerns that it might just not be our day. We needn’t have worried. On the half hour, Lee Peltier brought a Charlie Taylor run to an end by fouling him just outside the box down the left hand side. Etheridge tipped the free kick out for a right wing corner. McNeil, as the crowd chanted that he was one of our own, took the perfect corner which Wood headed home with Ashley Barnes making a nuisance of himself close to the line. Barnes set up Westwood for a second one-on-one; this time Etheridge saved at the expense of a corner and our one other opportunity of the half was a less clear cut affair when Taylor fired over from the edge of the box. It hadn’t been one way traffic, not by any means, but Cardiff hadn’t forced a save out of Tom Heaton who enjoyed a quiet first half that ended in farce. Billy Elliott was the first Burnley player to be sent off in post-war football; he was dismissed against Manchester City for a look of intent. Barnes, I’m certain, became the first Burnley player to be yellow carded for kissing an opponent. Joe Bennett fouled him and quite rightly earned himself a booking. He and Barnes stood up to each other with the striker then kissing Bennett twice on the nose. I’m not sure what Dean actually saw but he was carded for it. Dean played a major part early in the second half when he awarded Cardiff a penalty just two minutes in. The BBC, believing this was now the 2019/20 season, reported that VAR was now in operation, but the truth is that Dean went over to speak to his assistant Darren Cann who many believe had flagged for a penalty. Cann flagged but at no point whatsoever did he place his flag across his chest to signal a penalty; he simply waved his flag in the air and then pointed it in a direction to favour Cardiff. It’s all confusing. Only Dean and Cann will know what they discussed but eventually they came to the correct decision and withdrew the penalty. There had been two potential handball incidents involving Ben Mee. Neither were, and apart from Ian Wright, who just loves being negative about Burnley, the television pundits all said they had come to the correct decision. Warnock didn’t and had his moment with fourth official Anthony Taylor while some of the Cardiff players surrounded Dean who, in all fairness, took time to explain the reasons for the change of mind. It didn’t halt Cardiff. They had to win and threw men forward with the ball being knocked into our box at regular opportunities. We struggled to stem the tide at times but it all seemed to change when Junior Hoilett blazed their best chance high over the bar. I couldn’t have chosen a better player to miss the chance. Dyche said it brought a calmness back into our play. It might well have done but from then to the end of the game, despite another couple of penalty shouts from the now desperate Cardiff, we assumed control. We got to 90 minutes and 1-0 and the board went up for four extra minutes. That’s when they got in their last frantic appeal for a penalty against James Tarkowski. If that’s hand ball then he must have his hands in a very strange place is all I could think of that one. They were pushing forward and tried to get another ball up the pitch. Mee won it with a header in the centre circle and eventually it was won back by Westwood who found McNeil on the edge of the centre circle. He moved forward, and then wide, got past two players and played a low ball into the box that Bruno Ecuele Manga and Etheridge failed to deal with. Wood was left with one of those chances you just can’t miss from virtually on the goal line and so 2-0 it was. The crowd in the stands went wild as did the dug out, led by Ian Woan, Ben Gibson and Robbie Brady. Dyche went to get his water. We are not mathematically safe but surely we are safe now; surely we will be playing Premier League football again next season and that’s the first time we will have played four successive top flight seasons since we were relegated from the old first division in 1971. What an incredible turn round it’s been since Christmas. We can all point to the emergence of McNeil and the return of Heaton, but it’s not just that. Our two strikers have scored a phenomenal 16 goals between them in those 15 league games, Westwood has played his best football since joining us and Taylor has been a revelation. It’s all been about the team. There have been some terrific performances and, even in those recent defeats, there hasn’t been too much to complain about. Embed from Getty Images“We’ll be going to the new Spurs ground next season,” a fellow Claret said to me as I prepared to leave. Dyche said he didn’t want to presume anything. There have been times this season when it has been very difficult for us, but we’ve come through it and we can now look forward to the final four games and then start planning for another season at the top table.I’d just like us to end this one with a win against Arsenal with a controversial stoppage time winner. At least we’ll know this time that Wenger won’t claim to have not seen it. Just 12 points at half way, even I thought, with my glass half full, that it might be difficult to stay up. The glass, right now, is full. 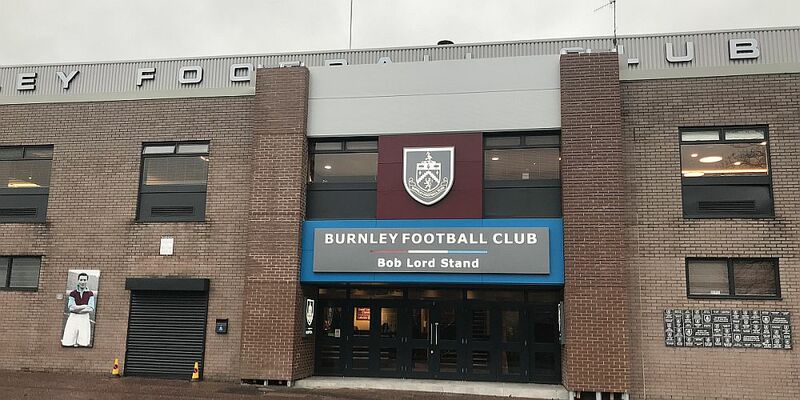 Burnley: Tom Heaton, Matt Lowton, James Tarkowski, Ben Mee, Charlie Taylor, Jeff Hendrick, Ashley Westwood, Jack Cork, Dwight McNeil, Ashley Barnes, Chris Wood. Subs not used: Joe Hart, Kevin Long, Ben Gibson, Stephen Ward, Jόhann Berg Guðmundsson, Robbie Brady, Matěj Vydra. Yellow Cards: James Tarkowski, Ashley Barnes. Cardiff: Neil Etheridge, Lee Peltier, Sean Morrison, Bruno Ecuele Manga, Joe Bennett, Junior Hoilett (Nathaniel Mendez-Laing 73), Aron Gunnarsson, Victor Camarasa, Harry Arter (Bobby Reid 81), Josh Murphy, Kenneth Zohore (Oumar Niasse 78). Subs not used: Brian Murphy, Greg Cunningham, Joe Ralls, Leandro Bacuna. Yellow Cards: Joe Bennett, Lee Peltier, Harry Arter, Victor Camarasa. Footnote: Messageboard member Firthy posted yesterday morning to say he needed a win for his dad who had passed away peacefully in his sleep during the night, aged 96. He got his wish from the team and I’d like to dedicate this winning report to Firthy and his family.